The Christ is born today. 2. O joy and bliss! To earth God’s Hope doth give. Her sorrow and its joy. We know is sad no way. Send us God’s grace, we pray! 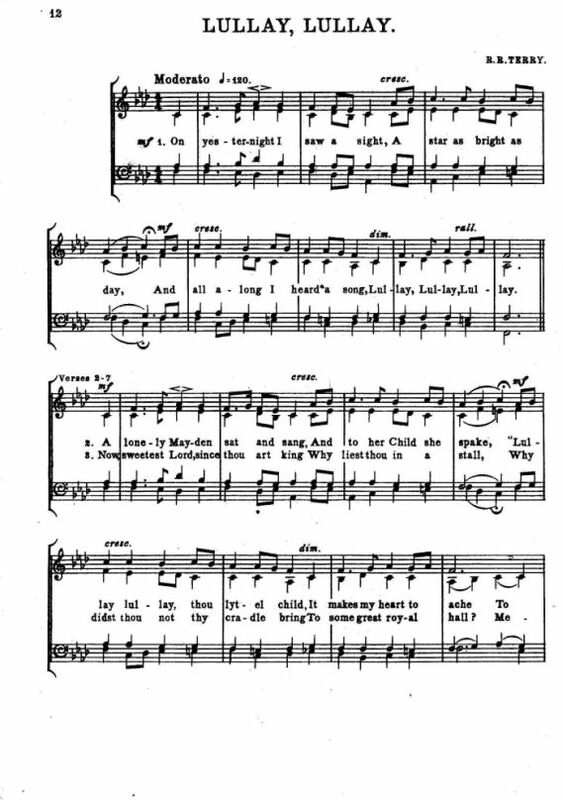 Sheet Music: Richard R. Terry, Twelve Christmas Carols (London: J. Curwen & Sons, Ltd., 1912), pp. 12-13. 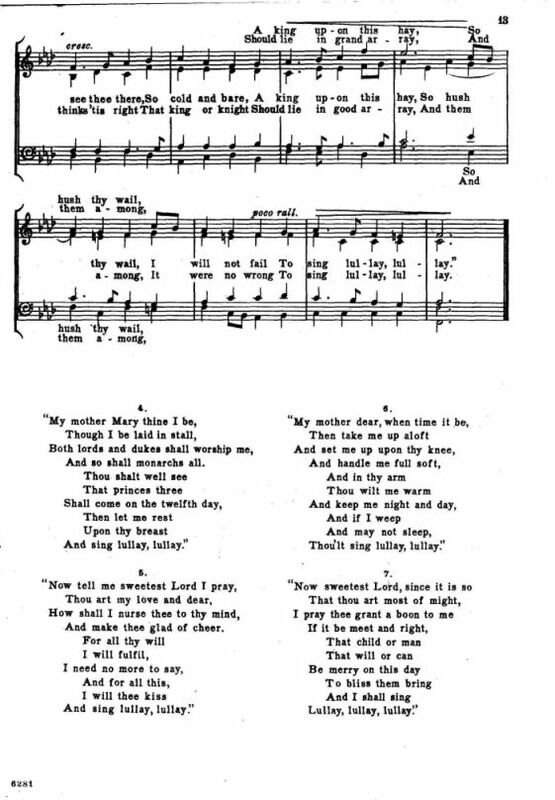 The first verse shares some similarity to the burden in the carol The Virgin and Child. The similarity ended there.